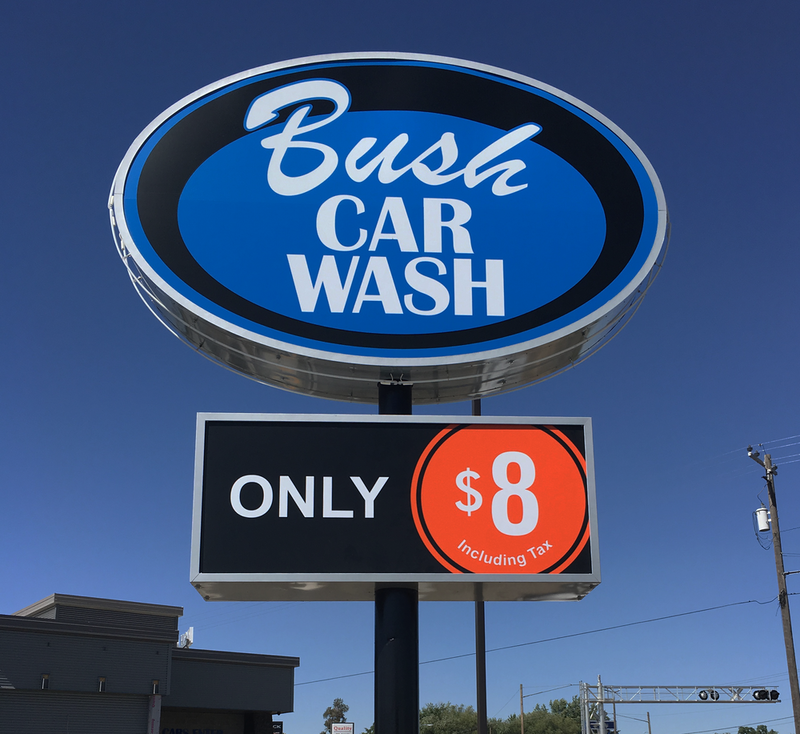 Washlink Systems welcomes Bush Car Wash’s sixth location in Walla Walla Washington. We’re proud to have their total chain of washes as a long time Washlink Systems customer. All the Bush Car Washes use our complete catalog of state of the art Washlink Systems products and Saleslink applications. When visiting Eastern Washington trust us, visit Bush Car Washes, you’ll be thoroughly impressed. Cody Hart is learning the how to use Unitec software that intergrates with Saleslink. 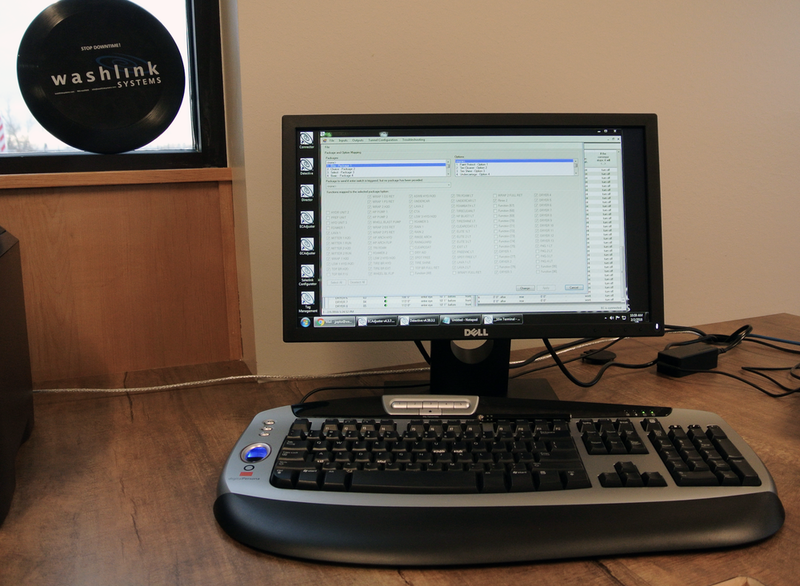 Washlink Systems welcomes a new member to our family. We welcome Elite Car Wash’s Cody Hart and his family to our family. Elite has build a state of the art facility in Ogden, Ut on 12th St. using all Washlink and Saleslink equipment. Elite Car Wash is built for high volume. With three pay stations and a highly trained staff, processing high volume of cars should be a easy. With competitively priced Unlimited packages powered by Saleslink, Eilte car wash should be a power player in the car washing business in the Salt Lake City area. Clear Drop Car Wash gets "Washlinked"
Washlink Systems was commissioned to modernize Clear Drop car wash in Manteca, California. Clear Drop’s management team wanted to increase accuracy of their tunnel controls in an effort to be more efficient. Washlink's goal's are to help Clear Drop save money in chemistry, electricity, water and improve their accounting accuracy. We installed a TEC 72 Tunnel Controller, Gate Controller and a complete Saleslink POS system. 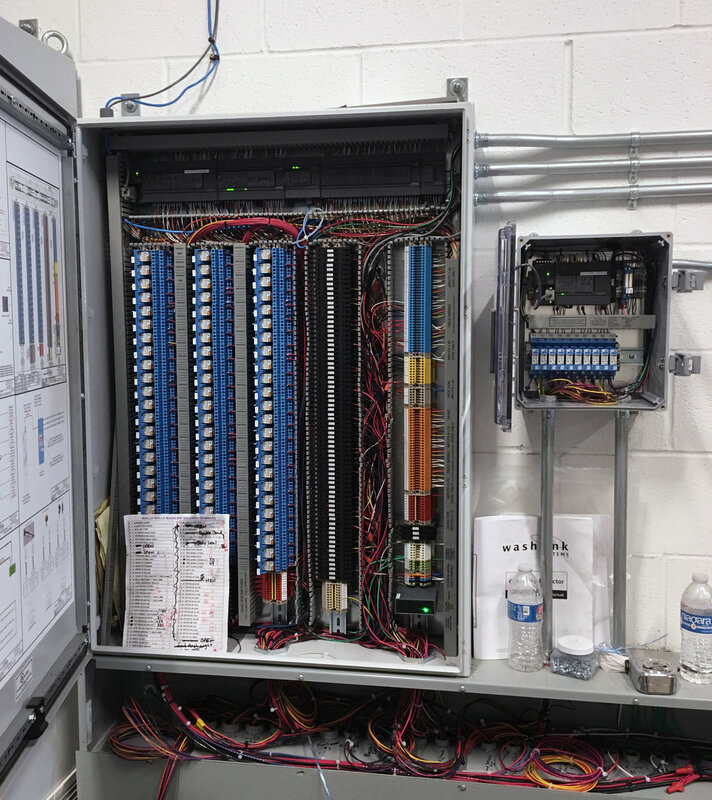 We can do the same for your older car wash controls too. While visiting San Francisco, visit some wineries, eat at our famous 4 star restaurants (or the famous In-N-Out Burger), then see their improvements for yourself. Visit Clear Drop Car Wash, they’ll be proud to give you a tour of their facility and there's an In-N-Out right across the street. 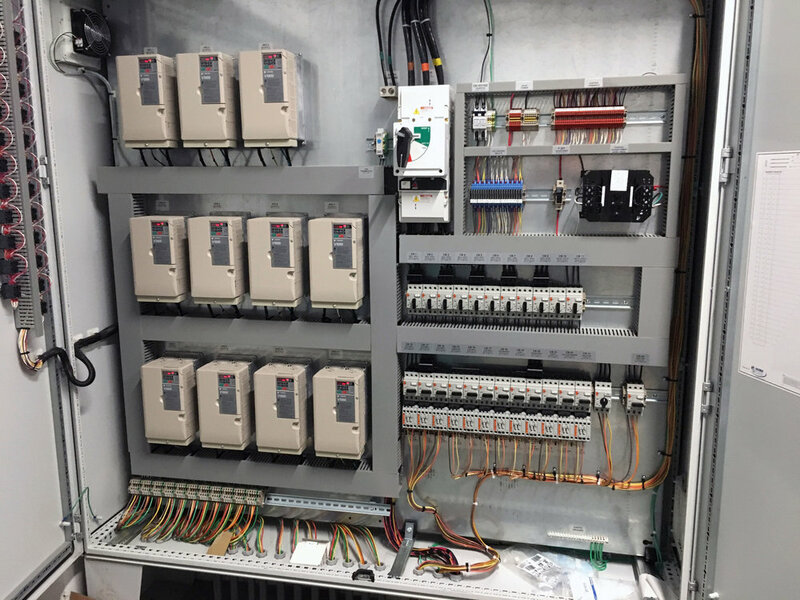 The old Belanger tunnel Controller was replaced with a Washlink Systems 72 function tunnel controller. In the upper left hand corner is a new Washlink Systems Gate Controller. An AccuPulse was installed in increase accuracy in pulse detection. The old worn out Belanger touch panel had seen better days. Washlink senior tech Mike Jensen installed the latest HMI (Human Machine Interface) in the tunnel for complete tunnel control. 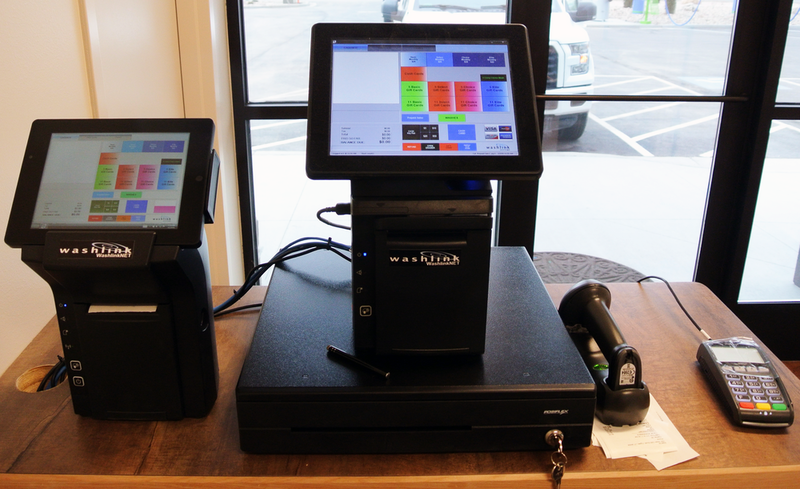 A complete Saleslink POS system was installed and setup to work with their existing Unitec Sentinel Pay Stations. Now they have complete accountability and reporting. When the installation was completed the end results are, increased tunnel and accounting controls AND A SUPER CLEAN CAR. Vicksburg, Mississippi, famous for its Civil War battle and views of the Mississippi river may now be famous for the most advanced car wash in Mississippi. 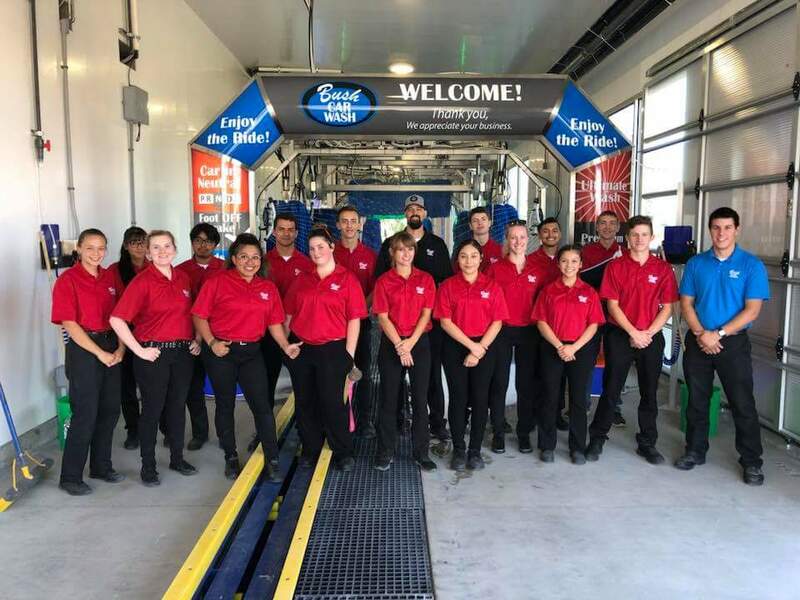 Pemberton Express Car Wash with the help of Heiden Industries has remodeled an older car wash to a state of the industry car wash. Heiden Industries installed of a variety of Washlink Systems equipment and the Washlink Systems team installed the Saleslink POS system. The owners of Pemberton Express Car Wash have invested wisely, effectively building the one of the finest car washes in the south. Washlink Systems is proud to partner with Heiden Industries in the success of Pemberton Express Car Wash. When in the deep south we highly recommend visiting the Vicksburg National Military Park and Pemberston Express Car Wash. Both experiences and hospitality will be memorable. Yes, there are car washes in paradise. Located in beautiful Lihue and Kappa Hawaii are two car washes we’re proud to welcome to the Washilink Systems family. Our equipment was installed by our good friend Jon Allen of ICWSNW (Independent Car Wash Services of the North West, Jon is a car wash consultant, builder and services car washes worldwide). Sudz car washes are located on the Hawaiian island of Kauai. Sudz car washes are Kauai's finest express car washes and we’re proud to be involved with their success. The following Washlink Systems products we’re installed at Sudz #2.